How do I change products in a layout for share a poster? 1. 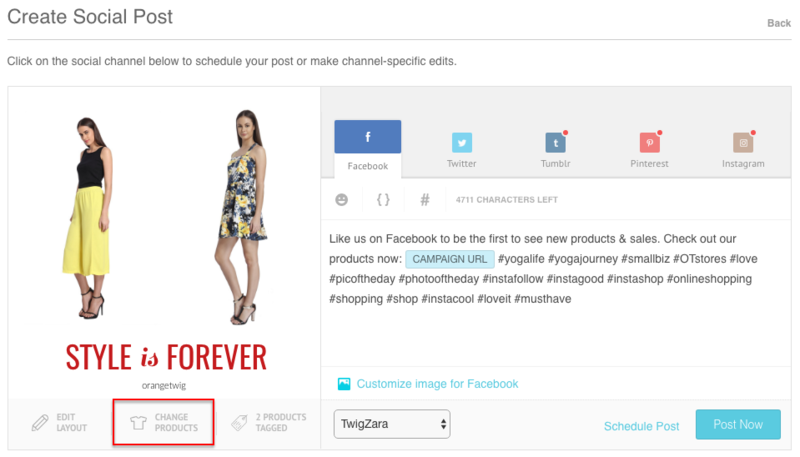 Once you've selected the theme for your poster, you'll get the option to Post Now / Schedule the post. Click on 'Change Products' in the bottom bar of the post. 2. 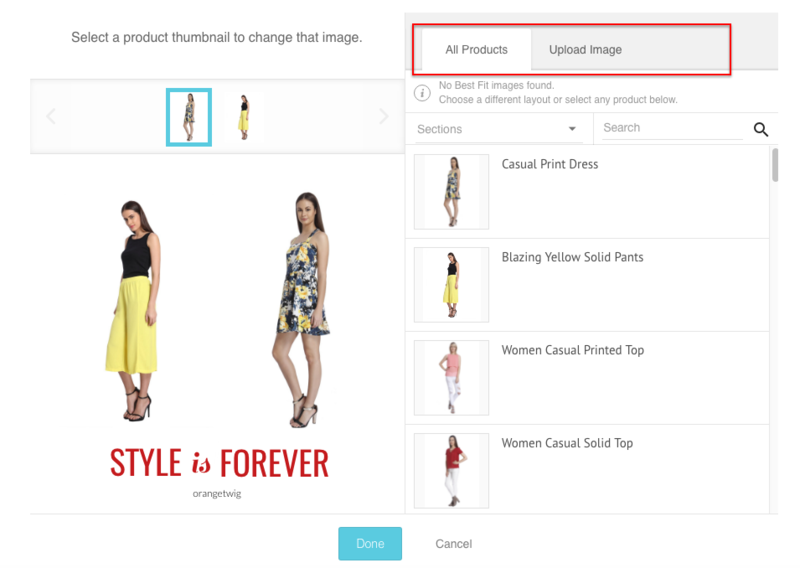 In the right column, you'll see 'All Products' and 'Upload Image'. Select 'All Product' to view all your products. And go to 'Upload Image' to upload a different image. 3. Select the product and click on 'Done' once you're through making changes. 2. Scroll to the post in which you'd like to change the product. Note: We support these image types: jpeg, jpg, png, and bmp. The image size shouldn't be more than 2 MB.